If you're looking for Raleigh's best sandwich, consider that National Sandwich Day is just around the corner. Every year, on November 3, sandwich lovers take a day to celebrate what happens when you put delicious things between two slices of bread. To help get you on the bandwagon, we've rounded up Raleigh's top sandwich joints, using both Yelp data and our own methodology. Topping the list is Sosta Cafe. Located downtown at 130 E. Davie St., it is the highest rated sandwich spot in Raleigh, boasting 4.5 stars out of 169 reviews on Yelp. Sosta Cafe's menu features paninis and sandwiches with a choice of Israeli couscous, chickpea salad or cannellini bean salad as a side. Look for the vegetarian Riviera, which has fresh melted mozzarella, tomatoes and homemade basil pesto on ciabatta bread, or the Poulet, made with homemade curry chicken salad, tomatoes and lettuce on multigrain bread. The cafe sells coffee, beverages and pastries as well. 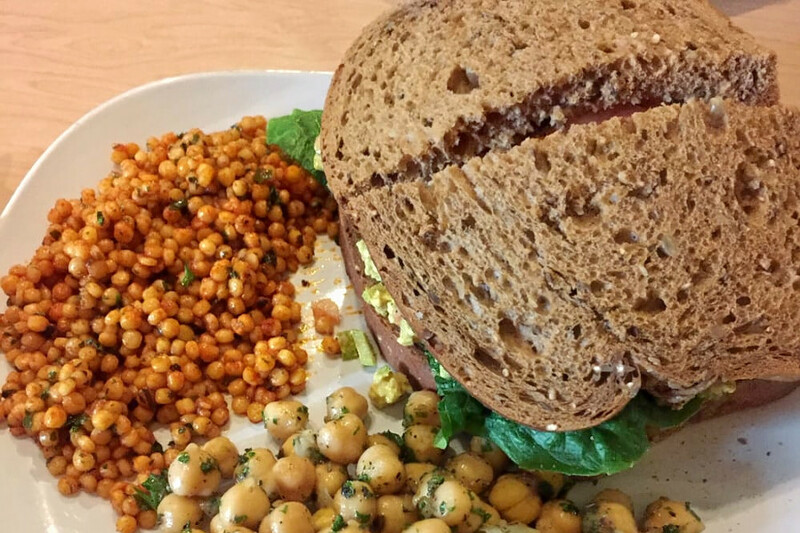 Anna Y. wrote on Oct. 30, "I ordered the Mila sandwich with the couscous and chickpea as sides. The couscous was delicious! I liked how light the tuna salad was in the Mila sandwich. It paired well with the juicy tomatoes and fresh lettuce." Next up is The Remedy Diner, situated at 927 W. Morgan St. With four stars out of 481 reviews on Yelp, the cocktail bar and New American spot has proven to be a local favorite. Find classic and signature sandwiches on the diner's "Mainstream Therapies" menu and vegetarian and vegan sandwiches on the "Alternative Therapies" menu. Try the Porchetta, a thinly sliced Italian-style pork that's topped with caramelized onions, a spring mix of lettuce and pesto mayo on ciabatta bread. 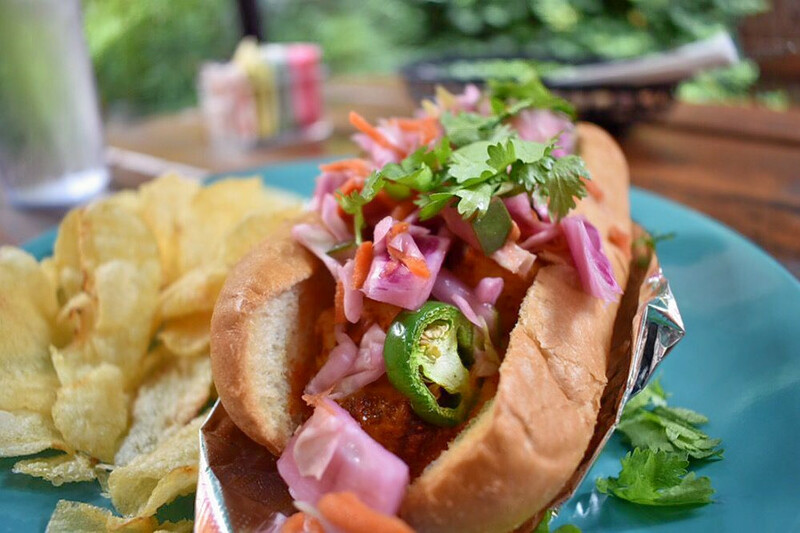 Or go vegan with the Under the Volcano sandwich, which is made of soy chicken tossed in homemade vegan Buffalo sauce, smothered in Gorgonzola and served with onion, lettuce and tomato on a kaiser roll. The Remedy Diner also has a list of specialty cocktails, salads and main courses such as stuffed peppers. 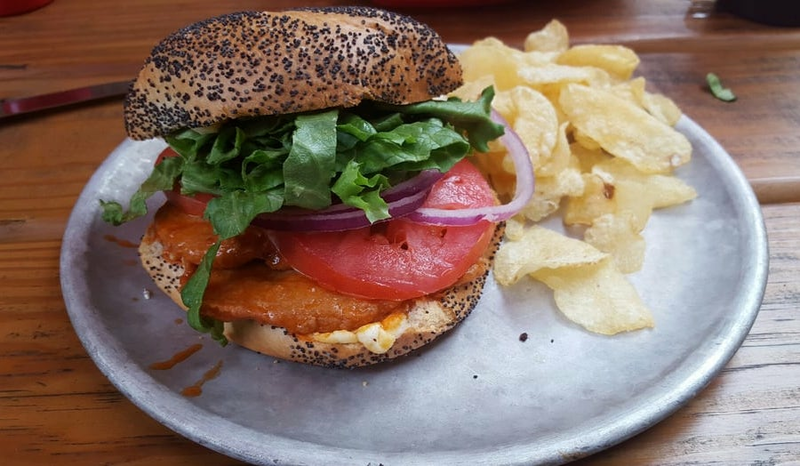 Yelper Peter L. said, "I had the Not So Poor Boy sandwich, made with sauteed shrimp, pico de gallo and spicy mayo. It was really quite good and so was every other sandwich I've had there. It's worth pointing out that the menu has a ton of vegetarian and vegan options, if you're into that." Carroll's Kitchen, located downtown at 19 E. Martin St., is another top choice, with Yelpers giving the nonprofit restaurant five stars out of 40 reviews. Founded in 2016, Carroll's Kitchen is a charitable social enterprise that provides employment for women leaving crisis situations. It offers a variety of wraps, sandwiches, salads and Kolache, a yeast roll that is made with either a sweet or savory filling. Among the sandwich options is the La Cubana, which is made of house-roasted pork belly, cured ham, grainy mustard and Gruyere, served with house cucumber dill pickles and a housemade side. Or opt for the Farmers Market Grilled Cheese with house roasted-butternut squash, fresh sliced apples, farmer's cheese and melty, smoked Gouda. "Carroll's Kitchen is an excellent quick spot to pick up a sandwich or salad! 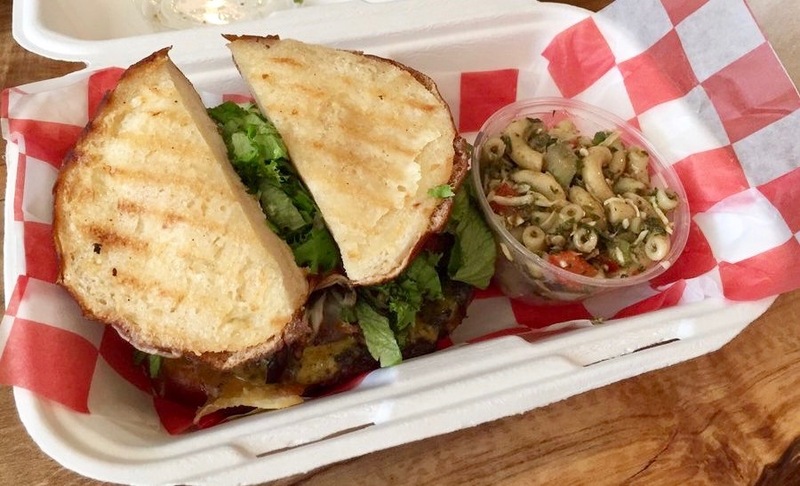 ...you're getting quality ingredients every time and contributing to a good cause, as all the employees are being helped by the nonprofit," said Yelper Kaitlyn M.
The Station, a traditional American spot that offers salads, sandwiches and more, is another go-to, with four stars out of 297 Yelp reviews. Head over to 701 N. Person St. to see for yourself. Located within the Oakwood neighborhood, it originally served as an Amoco gas station before being converted into a restaurant. The eatery offers a selection of classic sandwiches and a menu of soups, salads and appetizers. Try a Sloppy Joe sandwich made with pimento cheese and served on a brioche bun, or opt for the chicken salad wrap with pears, almonds, celery and red onion in a pita. Yelper Sharon R. wrote, "Great spot! Had the portobello Caprese sandwich and the Cuban sandwich. Probably the best Cuban I've ever tasted. Nice patio area with fireplaces and staff was very friendly and professional."